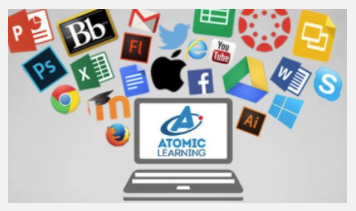 Truman State University has recently partnered with Hoonuit (formerly known as Atomic Learning), award-winning provider of online technology training and support. Through this partnership, Truman is able to provide learning opportunities that make it easy for learners of all ages to embrace technology and develop critical skills for success at school, at work, and in life. Research shows 3 out of 4 students feel their institution is not using the technology it has effectively. (1) Students’ style of learning is different today especially in regard to technology. Instructors not only need to understand how to use technology in their teaching, they need to understand how to help students use technology to help guide their own learning. Truman is dedicated to bringing technology training to all learners on campus through this partnership. With Hoonuit (pronounced “who knew it”), schools can provide instructors, staff, and students 24/7 access to technology training resources. Featuring a guided, step-by-step path through online workshops on topics from APA and MLA to blogging and online discussions, Hoonuit provides valuable educational resources as well as just-in-time training and support on over 215 applications. Hoonuit’s online resources simplify campus technology training and support. (1) ECAR study of students and information technology in higher education. Founded in 2000 by a group of technology educators, Hoonuit serves over 16 million individuals in more than 45 countries worldwide Online and on-demand, Hoonuit’s award-winning resources for technology integration and support, student training, and 21st century professional development create flexible training opportunities that make it easy for learners of all ages to embrace technology. Visit Hoonuit online at hoonuit.truman.edu.